THE DOAN GANG: Happy St. Pat's! 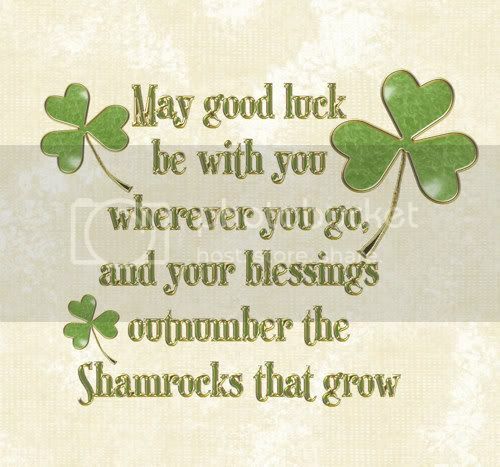 Hope everyone has great St. Patty's Day!!! I'll try to get a picture of Gid's shirt, it says "Mom's Lucky Charm" I found it at Old Navy for $2.50. I unfortunately have nothing green to wear, I'll just carry Gid everywhere today!